Visit our Sign-up page, then click Get Started. Standard Account- Enter your School Name, State, Zip code, Email address and you’re done! 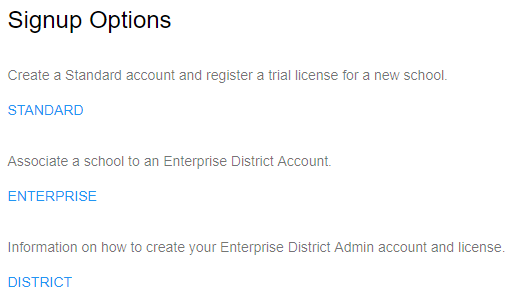 Enterprise Account- Add your school to an Enterprise District Account by entering your district account #, provided to you by our support team. 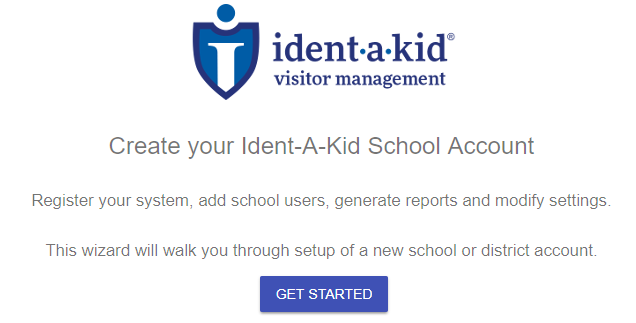 Lastly, you’ll receive an email with a link to create your Ident-A-Kid Account where you will be able to access Ident-A-Kid Apps, including reports for your school, online through the Web School Manager.